Great news, slots fans! There’s a brand new game on the menu at PocketWin Casino this week, and we reckon it has all the ingredients of an instant classic. It’s called Too Many Cooks mobile slots, and there are some truly delicious wins up for grabs in this Michelin-Star-worthy morsel. We’ve opened the doors of our very own PocketWin restaurant, but we may have overdone it on the staffing front. We’ve ended up with four fiery head chefs, and all of those egos in one kitchen could leave us in a pickle. Can you help us to keep the kitchen under control and win yourself some tasty prizes along the way? YES CHEF! If you’re not already singing ‘there’s a rat in my kitchen, what am I gonna do’ then we’re afraid this entire mini-game theme might not make a whole lot of sense! If you didn’t get the reference, it’s a song from the 80s – check it out on YouTube! Anyway, back to it. If you manage to spin in all four of our chefs on the reels at the same time, you’ll get to play the mini-game! Our four cooks have a bit of a rodent problem on their hands, as the king of the rats has infiltrated their food preparation area. They need your help to find and evict him from the kitchen, pronto. Thing is though, you don’t have to take on that task if you don’t want to. When the mini-game loads, you can either choose to try to find the rat, or you can play it safe and take the smaller prize on offer for a guaranteed win. If you take your chances and decide to search for that sneaky stowaway, you’ll see a choice of five playing cards. All you need to do is pick one. If you just find one of our chefs, you’ll be shooed out of the kitchen empty-handed. If you find the rat, you’ll win a huge reward! 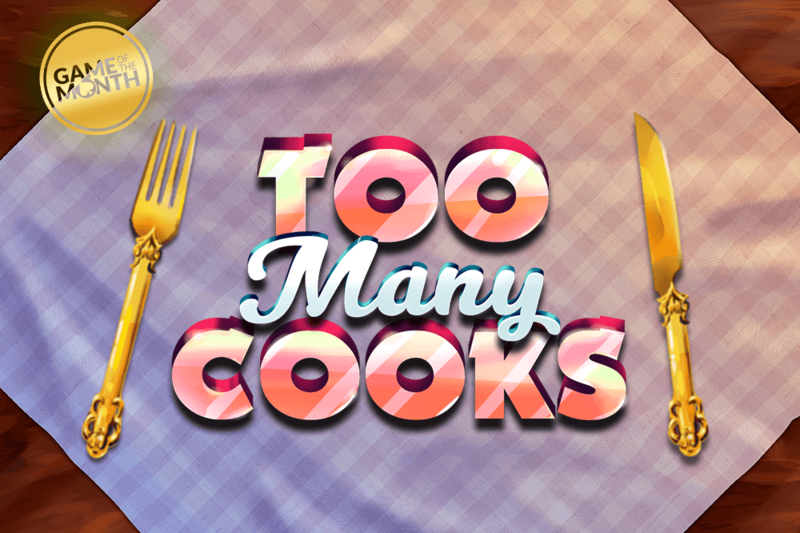 To celebrate the launch of Too Many Cooks, we’re offering new and existing players up to 35 FREE SPINS* to try it out! New players can expect a little extra on the side though, as they’ll also receive a free welcome bonus as a thank-you for joining PocketWin Casino. EXISTING PLAYERS – Try Too Many Cooks mobile slots for the very first time and you’ll be served up to 35 FREE SPINS* to get a flavour of this brand new title. *18+. New and existing players. No deposit required. Up to 35 locked free spins available to win once only. Winnings awarded as bonus credit. Bonus credit cannot be withdrawn. This Bonus expires 24hrs after the game is downloaded. Max withdrawal without depositing is £50. You can withdraw any unspent deposit, in addition to the funds in your cashable credit account. T&Cs apply, BeGambleAware.org. ** 18+. New players only. Up to £10 free bonus credit and an up to 200% first deposit match both available to win via separate Feature Games. Deposit match available after first deposit. Max bonus £100 paid as bonus credit. Bonus credit has x40 wagering requirement. Deposits have a x1 wagering requirement. Up to £10 bonus credit expires 14 days after registration, deposit bonus feature game expires 30 days after registration. Max withdrawal without depositing is £50. You can withdraw any unspent deposit, in addition to the funds in your cashable credit account. T&Cs apply, BeGambleAware.org.